Tang Soo Do is one of the oldest Martial arts.. It originated in Korea around 2,000 years ago, and the philosophy and techniques are still being taught today. The term "Martial Arts" refers to that body of knowledge that enables us to apply physical techniques together with keen mental and spiritual power. You must consider this as you practice the art of Tang Soo Do. Your strong and truthful commitment is of the utmost importance. Only if you begin with dedication will you succeed with your endeavor. 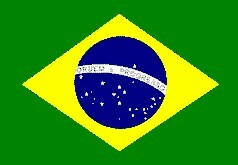 Our teaching of Tang Soo Do Moo Duk Kwan is to stop violence. As you move up through the belts, you will realize that Tang Soo Do is a way of life. You will gain a new way of thinking and acting which will guide and teach you in all areas of life so that you will be happier, healthier and wiser. The kicking techniques of Tang Soo Do are based on the ancient Korean kicking style of Tae Kyun, and the soft flowing movements come from the northern and southern Chinese systems. The word "Tang" originates from a Korean word meaning "to defend and strike." "Soo" means hand, but it may also be interpreted as a punch, a strike, a fist, or a defense. "Do" means a way of life. When you combine the three words, Tang Soo Do means "The Way of the Hand of Tang." 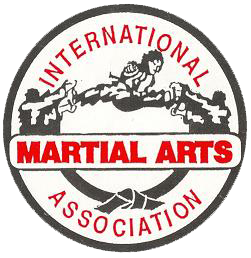 The International Martial Arts Association is an organization of individuals whose goal is to further the art of Tang Soo Do while preserving the unique heritage and traditions of this time honored art. Members of the IMA work toward the proliferation of the art throughout the world. Founded by Grandmaster Ki Yun Yi in New Jersey, USA, in 1984, the organization now spans four continents. Although the IMA is a dynamic and growing organization, there is a unity and brotherhood throughout the member schools. Each year the association grows stronger not only in members that train in our current schools but with new schools joining the I.M.A. because of its reputation and goals. The association is not looking to be the largest Tang Soo Do group but one that is respected for its students tradition, attitude, spreading of this Korean Martial Art and support of each gyms community. Grand Master Yi's desire is that each school give back to each community they are in as much as they receive in support. For the true martial art thought is ; "We are thecommunity and so it is part of your code to share the skills and support that area to build and grow together. © International Martial Arts Association.